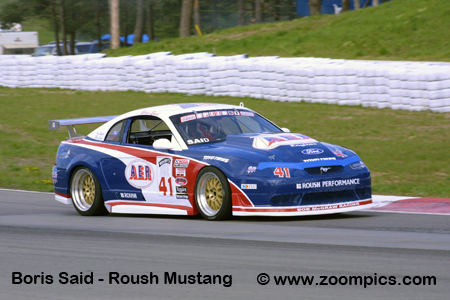 Round two of the 2002 SCCA Pro Racing Speed World Challenge GT Championship was held at Mosport International Raceway. 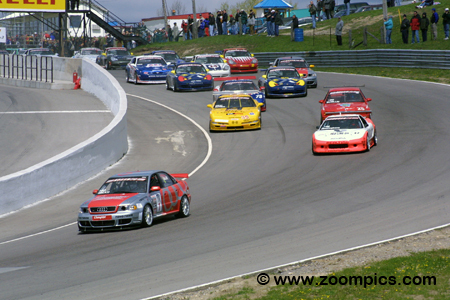 Eighteen Grand Touring drivers started the fifty-minute race on the ten-turn 2.459-mile road course. Taking advantage of the Audi’s all-wheel-drive system, the pole-sitter, Michael Galati rockets into the lead. Following in his wake is the No. 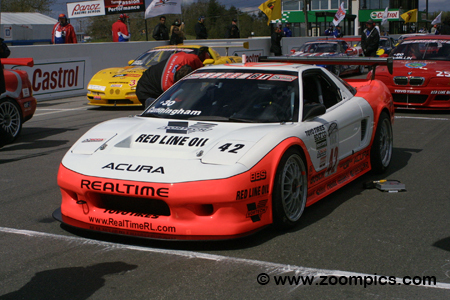 42 RealTime Racing Acura NSX SC of the second fastest qualifier, Peter Cunningham. Behind Cunningham are the third and fourth place starters, David Farmer in the Metric Chemical sponsored Chevrolet Corvette Z06 and Jeff McMillin in the McMillin Motorsports prepared BMW M3. David Farmer, driver of the No. 35 Chevrolet Corvette Z06 gave notice that he would be a contender at Mosport after topping the timesheets in the practice sessions. 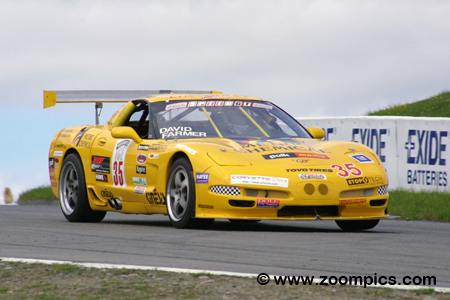 In qualifying, he was outgunned by the two series veterans, Michael Galati and Peter Cunningham. During the race, Farmer moved into the second position and when the leader, Cunningham was slowed by a lapped car, Farmer slipped by for first place and captured the victory. 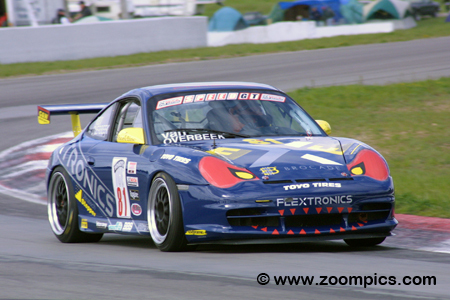 Despite contact in corner one on the first lap of the race; Peter Cunningham was able to finish second at Sebring. 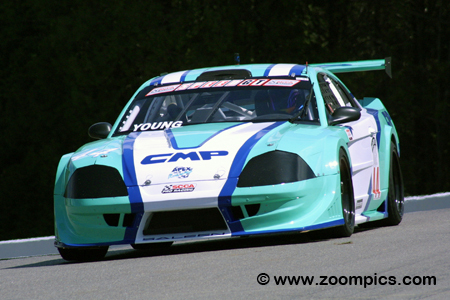 In qualifying at Mosport, Cunningham lost the pole-position to Michael Galati by 0.216-seconds. After numerous attempts during the race, he passed Galati for the lead but lost the position to David Farmer while lapping a slower car. The runner-up result left Cunningham tied with Galati in the title chase. The No. 81 Porsche 911 GT3 Cup driven by Johannes van Overbeek suffered a mechanical issue at Sebring. Van Overbeek qualified third but was one of the contest’s first retirees. Seeking redemption at Mosport, he started sixth in the eighteenth car field. During the race, van Overbeek battled with Jeff McMillin for fourth place. When Galati went off course, he was able to inherit third and grab the final spot on the podium. 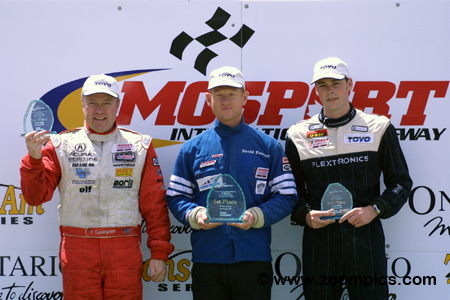 The 2000 Speed World Challenge GT Champion, Jeff McMillin opened the season at Sebring International Raceway with a third-place finish. 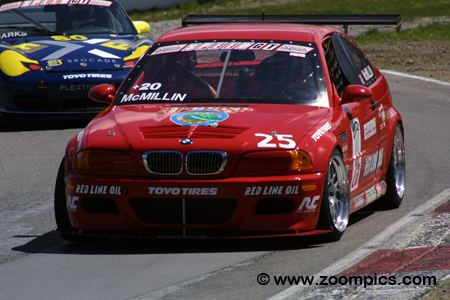 Still on form, McMillin qualified his McMillin Motorsports prepared BMW M3 fourth fastest. In the race, he was another beneficiary of Michael Galati’s error on lap-22. McMillin chased the Porsche of Johannes van Overbeek but could not find a way past and finish fourth. Michael Galati was rewarded for his flag-to-flag victory in the opening round a Sebring. His Audi S4 Competition gained some weight and lost some turbo boost. 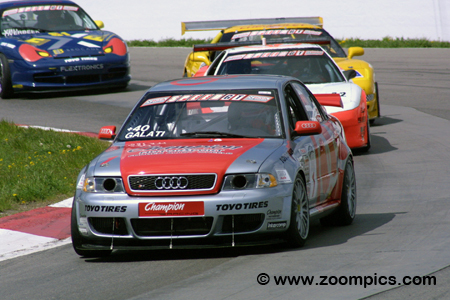 Qualifying at Mosport was conducted in cooler temperatures which aided Galati’s turbocharger and allowed him to capture the pole. He led the first nine laps of the race before being passed by Peter Cunningham. An error on lap-22 took Galati out of contention, he finished fifth. The driver of the No. 44 Saleen SR, John Young was quickest in the practice sessions at Sebring and despite a starting line incident at the beginning of the race, he finished fifth. At Mosport International Raceway, Young started last after encountering problems during qualifying. With the issues resolved for the race, he charged through the field and was sixth at the checkered flag and left Mosport sixth in the championship chase. The SCCA Pro Racing Speed World Challenge GT podium at Mosport International Raceway. In the center is the winner, David Farmer. This was Farmer’s first series victory and his best result since 1994 when he finished fifth at Mid-Ohio. To Farmer’s left is the runner-up, Peter Cunningham. This result moved Cunningham into a tie with the point’s leader, Michael Galati. Completing the rostrum is Johannes van Overbeek.